Introduce an early warning system for your applications with Tieto Predictive Analytics, to detect issues and resolve them before they become a problem. Today's IT environments are a complex web of applications, integrations and infrastructure, which makes it difficult for service maintenance to keep everything ticking over. Different vendors, data sources and point-to-point monitoring systems add even more layers of complexity. With Tieto Predictive Analytics, machine learning takes over, continuously monitoring every element of your IT environment. It detects warning signals so you can step in and fix the problem before digital services go down. And it constantly learns, so it gets better at identifying problems all the time. Unsupervised machine learning solves problems simply based on input data. There's no need to suggest an outcome – the AI automatically classifies and labels the data, bringing you deeper insights. A dashboard shows the health of each part of your system – API, application, middleware, infrastructure and more – using a simple traffic-light system so you can prioritise maintenance more easily. Sometimes you need to get right to the nub of a problem. Using the powerful search function, you can drill down to fine detail. You can easily scale Tieto Predictive Analytics up and down, as it's not dependent on manual configuration, no matter how complex or dynamic your IT environment is. By continuously examining masses of data, discovering patterns and finding correlations, machine learning can bring you new insights about your business, such as client behaviour or process performance. 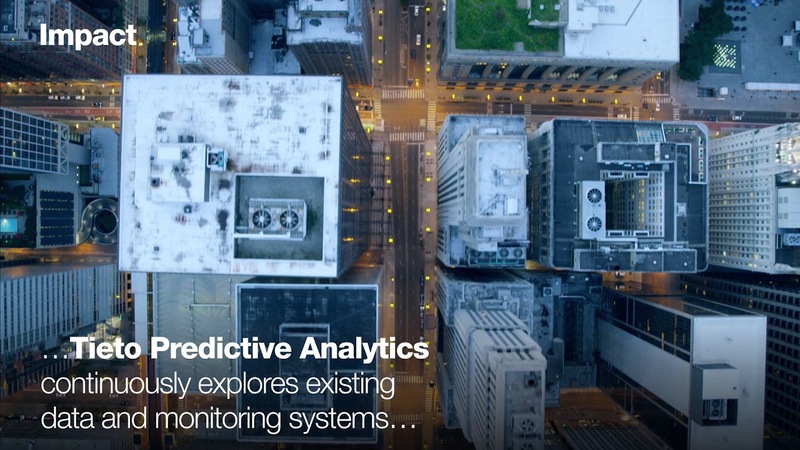 Tieto Predictive Analytics is not tied to any one monitoring system or data collection solution, so you can use it to see the bigger picture across all your platforms.